The sports seats are phenomenal, the way to go, do they have ventilation? 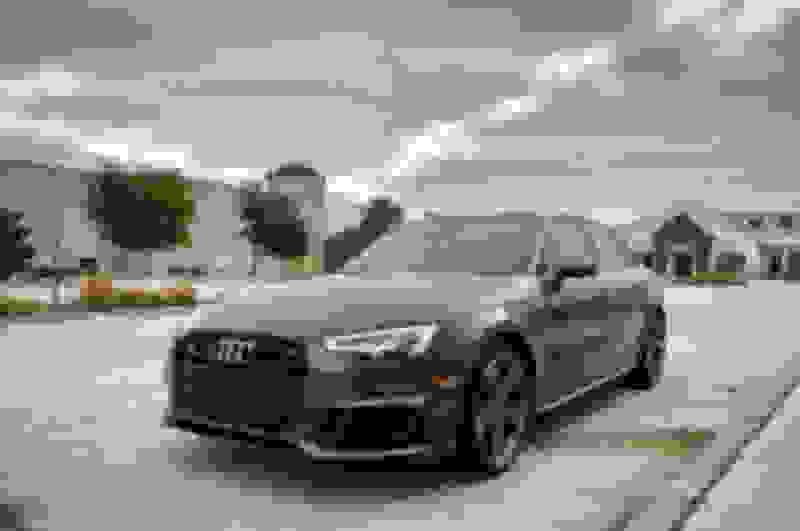 Do you know what brand are the ones in the Audi sedans? I cannot find any info on it, the Audi salesman told me that on the RS7 they were neither Recaro or Sparco, in my Caddy I have the Recaros, Alfa Romeo uses Sparco. I love the Virtual Cockpit!! One of the the favorite features on my CTS-V, so many customization choices. Did you open her up yet?? What type of tires she came with?? Performance or all season?? Drive judiciously and stay away from speeding tickets!! Acura will never have a car like this. I was close to going with Audi. The concern with Audi and will always be what the cost is once out of warranty. Audi Care package is fine but once out of factory warranty they do cost substantially more over the long haul. That is the main reason I don't go with Audi. I don't mind paying more up front but I don't lease and Acura has a very reasonable cost of ownership years 3-10. BMW/Merc/Audi all lose a lot of value relative to Acura/Honda. Some are exceptions but overall I don't want to pay more upfront and on the back end. If they sold the current RS4 over here in North America I’d be all over that. I have been an Acura guy for years. I picked up an 07 Type S, and it has been the best car I have ever owned. I got super excited when they put the prototype TLX at the Detroit auto show in 2014, but found the TLX that hit the market to be very vanilla. Lately I have been shopping Audi as well, and have a real car crush going on with the RS5. 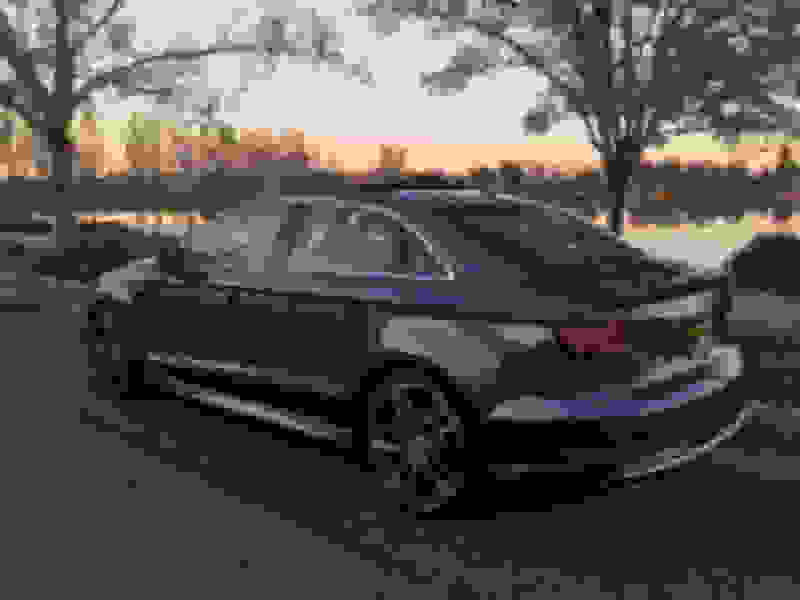 Kind of ironic to see how many people in this thread have done or are thinking about an Audi as well. Or, in my case, a Genesis G70. Of course, if Acura comes out with a TLX-S soon , all is forgiven. I’m really enjoying my new TT RS. 400 hp, 0-60 in 3.2 seconds (with launch control). It’s a blast! Audi RennSport cars are like unicorns. If you have an opportunity to snag one, do it. Currently own a 2008 TLS and actually waited about 10 years to see what Acura provided. Still nothing and had to move on to Audi. Got me a 2017 S3. Was hoping for an Adult version of the Type R. Will see what Acura provides down the road. Nice car and congrats -- I don't blame you a bit for leaving. I hope Lexus comes out with something nice in their next generation or when I'm ready to buy again. I love Audi interiors nowadays. Same here. Had a 2017 TLX and quickly got bored after 11 mos. Broke my lease for an A4 and haven't looked back. Didn't realize all the little niceties my TLX was missing until I went to Audi. However, Hondas have been all I've ever driven up until this Audi so I'm still extremely interested in the new TLX (and also why I still lurk on Acura forums, lol). Wow. Definitely a money losing proposition to get out of a lease that early. The A4 is definitely nice, though. Well, I finally decided to leave Acura after 8 years with the brand. It was a tough decision to make, but the downsides from my TLX just outweighs the upsides. I tried to stick with the TLX as long as I can. The biggest issue I have, not surprisingly, is the transmission. The ZF 9 speed has been beaten to death around this forum so I won't really go into it too much. My experience with it has been the same as what some others have experienced; hard upshifts/downshifts during low gears and low speeds were all there. I can only say that I've went forward with the 2018 TLX knowing that Acura improved the performance of transmission and my test drive initially confirmed those improvements. However, during the last 18 months, the behavior of the transmission became worse and worse. It really is a shame for this transmission to ruin what is otherwise a great vehicle with a solid engine. Regardless, I still have hopes for Acura under Jon Ikeda and with the upcoming release of the Type-S variants, Acura may finally have something worthy to compete with the new Germany and Korean models. But enough of that. After looking at used S4s on the market during the last two months, I finally found one with low miles and great price. Ended up with this 2018 Audi S4 Premium Plus with the black optics package. This is the first sub-5 second vehicle I've owned and the amount of power is intoxicating. The amount of aftermarket support/customization for the B9 generation of A4/S4s is also great. The ZF 8 speed on this vehicle is what every car needs. Amazingly quick shifts for a torque converter automatic with no loss to power between shifts. The tech inside the vehicle is also much much better than the TLX and in my opinion better than the refreshed RDX as well. There are still many happy owners of the TLX and I hope you continue to enjoy them as it is still a great car. The A-specs still turn my head when I see one on the road. Congrats on your S4, it looks great... I love the BOP, is that Manhattan Gray? Mine is Daytona Gray. Manhattan Gray is available on the A4 but not S4 which is a shame. That color would look well on the S4. I don't understand why Audi has gone the effort to offer more color choices on the A4 compared to the S4. I knew it was either Daytona or Manhattan, if the pic was in the sun I would have known it was Daytona since Manhattan (to my eyes) has some blue in it.. Regardless your car looks great..
Don't go away man, your Audi is welcome here! Congrats on the S4, I also love Acura's but it seems they are just not as good as before, its why I ended up going for an A5 Sportback. I really think Audi has stepped up their game and to be honest we have more choice than ever before in this segment plus now we have the Kia Stinger, Buick Regal GS, Alfa Romeo Giulia & the Genesis G70 to add to the list too. Last edited by comptr; 02-06-2019 at 04:10 PM. Honest question: for those who have been loyal Acura buyers, did you test drive any of the competitors' cars before deciding on getting another Acura? I had an Infiniti G37, and was looking for a replacement due to reliability issues. I test drove a Q50 Red Sport and a base TLX. I ended up with a 4-cyl TLX. Keep in mind my main criteria were reliability and economy. I also promised myself I would leave it stock....that lasted one year. Last edited by booster; 02-08-2019 at 01:44 PM. If you lease cars Audi makes perfect sense as Acura has lost their way. However, if you keep cars for many years past warranty I would definitely not consider Audi. I wonder what will happen with Acura new generation of turbo engines though. I'm not confident in their long term reliability. They have been cutting corners and it definitely shows on the TLX. We've seen a decline in quality of our Honda and Acura products. Question is, are any of the brands better? Actually impressed with Kia at least after sitting in a few and renting them while on vaca. Long term reliability of Honda turbos? Look at what is going on with the 1.5L turbo and there have been some reports of issues with the 2.0L turbo as well but far fewer. I think long gone are the days where people shop brands. Still have 3 years left on my A4, but I'm already thinking about what to get. Sadly no more pure sedans for me, either crossover or wagon. The A4 is fantastic but having a wide opening is mandatory when having a home. Still fun to drive. looks beautiful, good luck with new car! Have you seen the prices of the Alpha and G70? Not the same level as the $40K TLX. You’re the second person I’ve seen here who spells Alfa Alpha. Is it autocorrect, or is there some reference I’m missing? Well, my local Alfa Romeo dealer is across the street from my Acura dealer and they are a one price dealer so the price one would pay after the rebates and dealer discounts put it within the same ballpark of the 40K TLX. It's possible to find a G70 at 40k too. Alfa Romeos usually have big rebates and or big dealer discounts on them. For example, here is one for sale: https://www.billluketempe.com/invent...faecn7j7582012 . Looks like I wasn't the only one who moved on to an Audi. 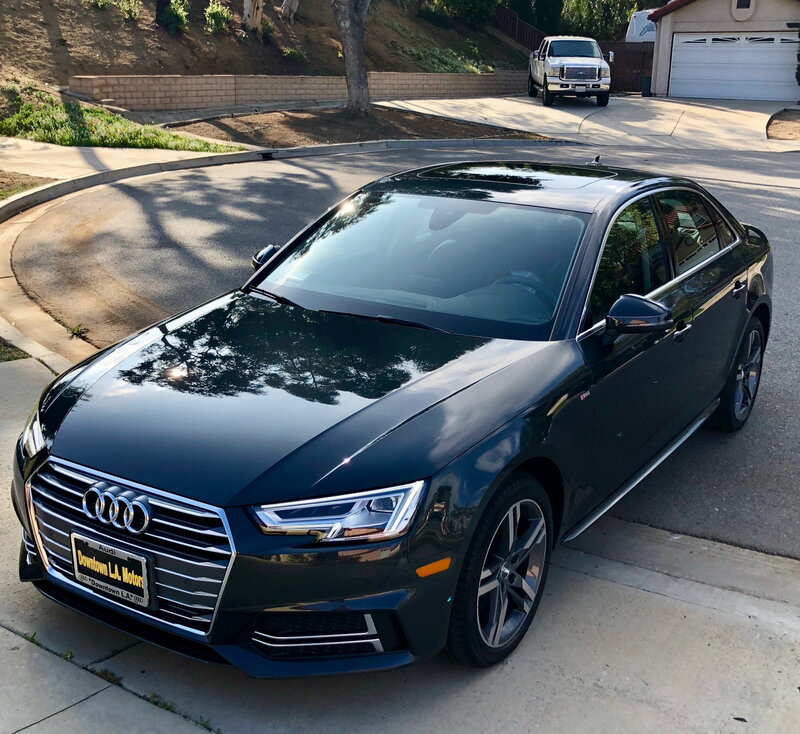 I just sold my 2008 TL Type S last month and could not wait any longer for a TLX Type S variant so I purchased a 2019 Audi S5 Sportback. This will hold me til Acura releases the next Type S.
The ATS-V is a fun little car. Either the automatic or manual models are just fun to fling around a track. Its only issues are the poor interior (TLX is far superior in that regard IMO) and the back seats are for midgets and small children. That is one beautiful car! I love the S5 Sportback! Congrats and enjoy! I can only hope that the 2nd generation TLX Type S will compare favorably to your Audi. I seriously doubt you would move from an S5 Sportback to a TLX S-type. From an A5....maybe. But from your gorgeous current ride, not a chance. If it's anything like past Audis I've owned, he'll be chomping at the bit in a few years when components start to fail and the repair bills start piling up . Even if that were the case, it’s unlikely that someone would go from an S5 Sportback to a TLX. To a Panamera or another new Audi (with a new warranty) I can see happening though. Don’t get me wrong. I’ve had 10 Acuras and I still think they make great beaters. Good value, generally reliable, and appropriate levels of performance and luxury. Side note: I’ve also had 8 Audis, and never had any problems with them. Just normal maintenance. Thanks for the kind words everyone. Haha you never know, I was crazy enough to wait 10yrs for a Type S but I still enjoyed everyday the 08 Type S I had especially it being a 6 speed. Don’t get me wrong. I’ve had 10 Acuras and I still think they make great beaters. Good value, generally reliable, and appropriate levels of performance and luxury. I know anyone can be anyone and say anything on the internet, but this is one of the most questionable posts I've ever seen. Can you clarify this for the record? How did you own 18 cars over the course of your life? And what about these 8 Audis? What models? Like the Quattro, 5000/100s, A4s or what? Even if you're 70 years old right now and started driving at 15 (assuming you started buying Audis immediately), you averaged a new car every 3 years? I don't typically count my wife's cars as mine, but if you did, your average would still be only 6 years of ownership. What kind of mileage are you putting on these Audis? Up to 100k? Or more? Because that's when Audi ownership REALLY gets interesting. Maybe you lease, but even leasing wouldn't explain your unbelievably ultra-low issue rate of 0 over the course of owning 8 Audis. I know Audis, I know Audi salespeople and I know Audi aficionados. I have yet to meet a single Audi person who honestly associates Audi with reliability until very recently. The 1990s and 2000s? Generally money pits. Chances are about half of your 8 in that period would have had problems. Maybe you got lucky and only 2 had problems. But 0 of them had any issues? Like those of us reading this were born yesterday. My parents Audi 5000 drove itself through the garage door when I was a kid. Despite their advice about Audi, I bought an A4 with 60,000 miles on it anyway and paid the price at about 100k miles. Audi ownership is a relationship of risk/reward. Audi performance is unquestionable. But their reliability? I wouldn't put my money on it. Obviously, many people think the risk is worth the reward, since there are plenty of Audis on the road. As long as I'm in here, I might as well say nice ride too! I practically gasped when I saw that picture and how gorgeous your car is. Last edited by someguy11; 02-22-2019 at 12:42 PM. It's easily possible to own that many cars. I'm on my 18th car as we speak. My first car was a Ford when I was 16 which my parents helped me buy. I didn't think it was cool enough so I worked a job during high school and saved my money and a year later bought a used Honda Prelude. Since then, it's been all Hondas and Acuras for me. I owned 1 Ford, 9 Hondas and am on my 8th Acura. I work with a guy who is 10 years younger than I am and he's owned over 30 vehicles. You could be making the assumption that people only own one car at at time. Think I have had about 40 cars. Last edited by BEAR-AvHistory; 02-22-2019 at 06:07 PM. Er.....I’ve had way more than 18 cars. Congrats on the S5 SB! I'm jealous of the 20" rotor wheels that you get on the S5 black optics package compared to my tiny 19" rims. I noticed that you're in Texas, I guess you have to run a front license plate unfortunately? Congrats, beautiful car! Someone in my building has one also and I was surprised at just how low the roof line was. I love the lift back, I hope that we see more of these...I like the versatility of a crossover but don't really enjoy driving them and this would be perfect. Thanks Denali, your S4 looks amazing. I was close to getting one in that exact spec with Daytona Gray w/ Black Optics since the S5 SB in 2018 didn't come with Black Optics but waited and glad they offered it in 2019 as it was a must have for me. I also opted for the carbon fiber spoiler. The hatch was also another selling point as I have a toddler and lugging around their infinite amount of stuff makes it easier.